Like in the years before, Lithuania is having the most extensive pre-decision procedure of all the European participants. This is called “Eurovizija” and there were 10 live shows to follow in the internet as well. 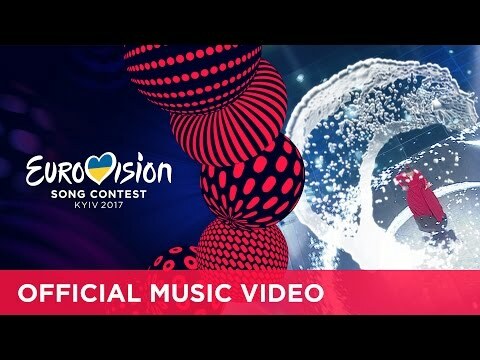 Last year the outcome at the ESC was successful, a 9th place was achieved with “I’ve Been Waiting For This Night” by Donny Montell. In a fulminant final this year, the Lithuanians have chosen the extraordinary band Fusedmarc with the even more extraordinary song “Rain Of Revolution”. The band consists of Cilia (Viktorija Ivanovskaja) and Vakx Nurasho (Denisas Zujevas) and was founded in the year 2004. Both singers share a great passion for music. The most striking element of this band is the unusual music style, a genre of its own, as there is a bit R’n’B, electropop. They describe their music style themselves as “alternative audivisiual electronica”. The visual aspect is very important for the band. In 2008 they won the award for Best Lithuanian Electronic Band. The singers emphasize that this project is not an experiment it is a fusion of maturity, real emotions and inspiring energy. The Lithuanian entry “Rain Of Revolution” is a reflection of what happening in people’s heads. These lyrics are open for interpretation as well as the song arrangement. This one won’t fit in any music genre, it one of its own with unpredictable vocal explosions. The ESC is normally open for new and inspiring things, but in this case it will be a hard task for Fusedmarc as the song is missing the certain amount of catchiness and melody. This is far too complicated to convince a majority of TV viewers so it will be quite difficult with a qualification for the Grand Final. For Lithuania it’s the 18th time in the Eurovision Song Contest in Kiev this year. The debut entry from 1994 “Lopsine Mylimai” by Ovidijus Vysniauskas came last with zero points – not a good start unfortunately. While the Baltic neighbour countries Estonia and Latvia had a better hand in choosing successful Eurovision entries including two victories, Lithuania never shaped up that well. Beside of one exception with “We are the winners” by LT United in 2006, this entry ended up 6th in Athens. At least Lithuania has qualified seven times for the Grand Final out of 17 participations including last year. The chance for Lithuania reaching the Top10 is relatively low at 12%, it has increased by last year’s good placing of Donny Montell’s “I’ve Been Waiting For This Night”. The Lithuanians songs were mostly sung in English, beside of two years in the beginning due to the language rule, so it was probably obvious for the Lithuanian broadcaster LRT to see that the songs will be sung in English to be understood for 100%.